Thousands more schoolchildren, many vulnerable and from disadvantaged backgrounds, are set to receive ‘inspirational’ safety advice at the West Midlands’ Safeside facilities. Nearly 37,000 visitors have passed through the doors of the Safeside at Eastside centre in Birmingham since it opened in 2009, and those numbers could increase further with recommendations on how the centre operates set to be approved by West Midlands Fire and Rescue Authority today [10 June]. Councillor Keith Chambers, who chairs the Scrutiny Committee, said: “It was clear that Safeside’s staff and its dozens of volunteers do fantastic work. Thousands of our children are living safer lives as a result. "Our recommendations are designed to bolster that work, and ensure that the safety, health and wellbeing of more of the West Midlands’ most vulnerable people are improved." 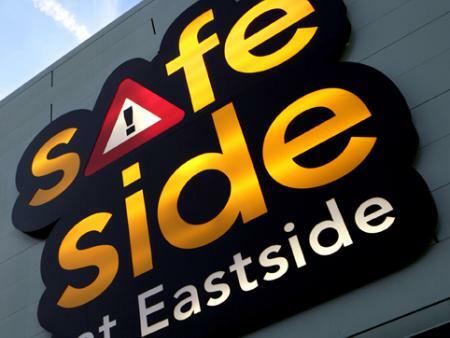 Safeside at Eastside is a state-of-the-art, scenario-based experimental learning centre, designed to encourage visitors to think and act safely. It is complemented by a smaller centre, Safeside at Handsworth. The flagship indoor ‘village’ includes a realistic, life-sized street scene, complete with pedestrian crossing, car and double-decker bus, a house, shop, pub and police station. Visitors also encounter a full-sized train carriage and rail track, and water-based scenarios.